Let’s set a resource anchor. Here are the step by step instructions (if you haven’t read the previous articles in this series, you may want to read those first). Step 1: What resource state would it be useful to you to have, any time you choose? Is it confidence, calmness, determination, curiosity, or what? Choose the state you want. Remember, mind and body are one system. If it’s a high-energy state, it’s going to be easier to get into if you stand up. With more relaxed states like calmness, it’s OK to sit down. Step 2: Choose a suitable anchor, that you can easily replicate any time you want to go into this state. It could be a gesture, an image, a word, a tune, or anything that you like as long as it’s something you can do, see or hear anywhere. You can associate anything with the state, but you can stack the deck a little if you choose an anchor that’s meaningful to you. Step 3: Now, what does it feel like when you’re in that resource state? Where does it start? What happens next, as it develops? And as you think of times when you’ve felt that way, pick one memory – a vivid one – and step back into it. See what you saw, hear what you heard, and especially feel what you felt. Relive it. Tune up the submodalities to make it as intense and compelling as you can. 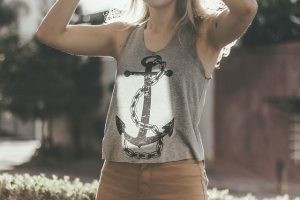 Step 4: As you relive your memory, when you feel your state changing and intensifying, set your anchor – whatever you have chosen. Make the gesture, see the image, play the tune, or say the word to yourself. Step 5: Let go of the memory and come back to the present, and let your state come back to normal. You’ll get there quicker by distracting yourself – physically shake off the memory, or tell me what’s your phone number backwards? In NLP we call this ‘breaking state’. Step 6: Once your state is back to normal, let’s test the anchor that you’ve set up. 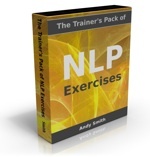 So make the gesture, say the word, see the image – just fire off the stimulus you’ve set up. What happens? If you’ve gone into the resource state, congratulations! If not, there’s a couple of things we need to check. Firstly, when you set off the anchor to test it, did you do it exactly the same as when you set it up? Secondly, when you were setting up the anchor, were you fully associated into the memory? Were you feeling the state change? And did you bring in the stimulus before the feeling started to ebb away? Anchoring can take a bit of practice, especially if, like me, you’re not in the habit of flying into big states at the drop of a hat. So go back to Step 3 and take it from there, making sure that you are intensely associated into the memory of that state. Remember, to some extent you can use repetition as a substitute for intensity – but you do have to be in the state in order to anchor it. 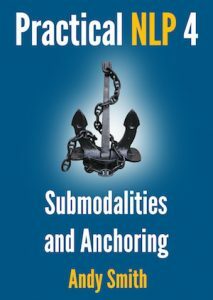 If you’re feeling adventurous, you could also use these instructions to try out setting a resource anchor for someone else (remember to translate NLP jargon like ‘tune up the submodalities’ into English if they aren’t familiar with NLP). Next article: the Circle Of Excellence technique, and how to ‘stack’ anchors.